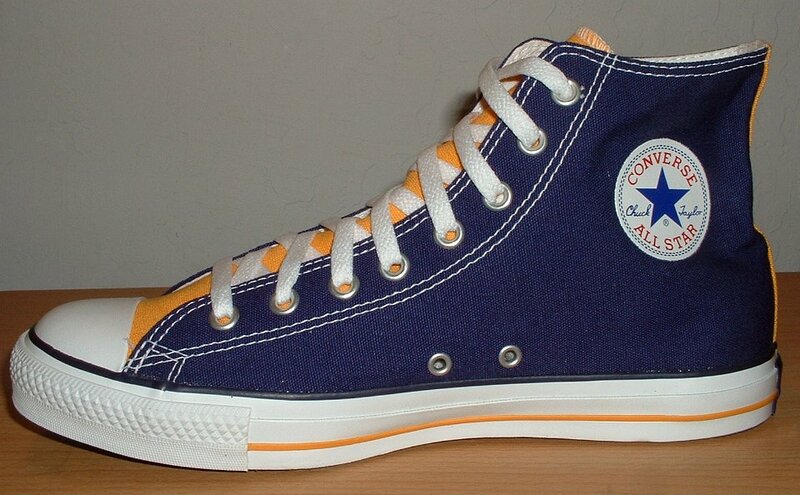 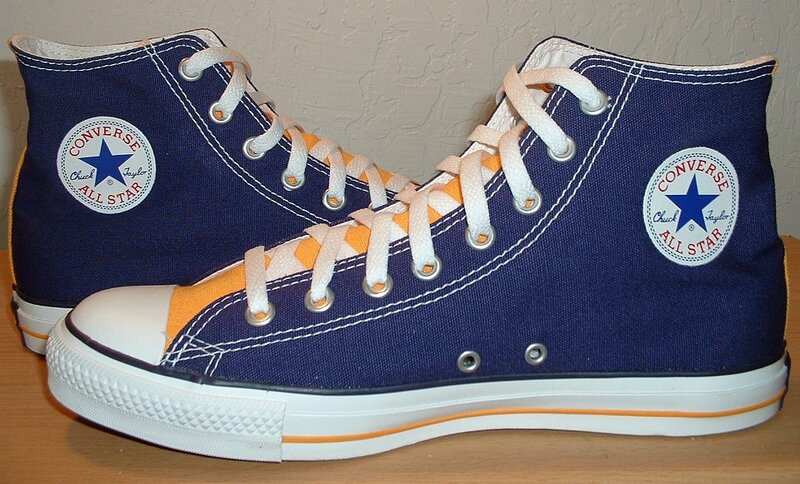 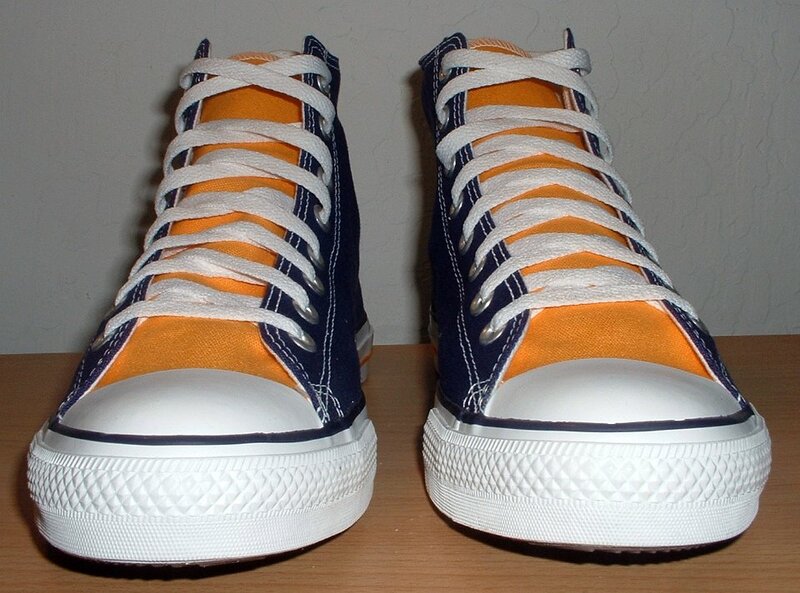 Photo gallery of a purple and gold 2-tone model of high top chucks. 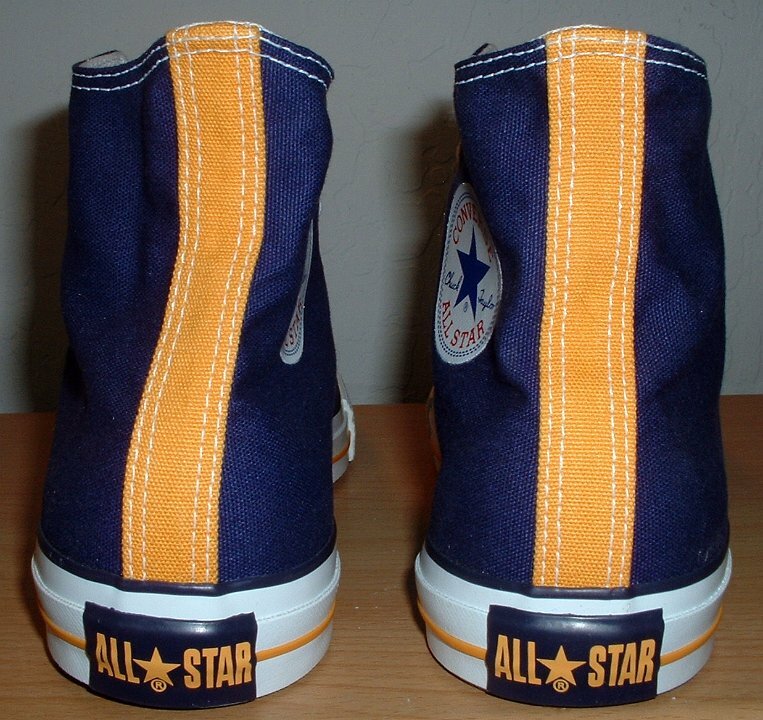 1 Purple and Gold 2-Tone High Top Chucks New purple and gold 2 tone high top, right inside patch view. 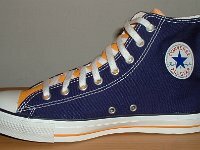 2 Purple and Gold 2-Tone High Top Chucks New purple and gold 2-tone high top, outside right view. 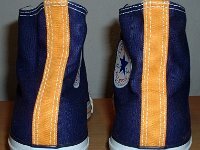 3 Purple and Gold 2-Tone High Top Chucks New purple and gold 2-tone high top, left inside patch view. 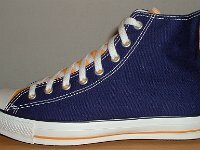 4 Purple and Gold 2-Tone High Top Chucks New purple and gold 2-tone high top, left outside view. 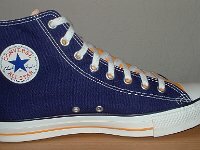 5 Purple and Gold 2-Tone High Top Chucks New purple and gold 2-tone high tops, rear view. 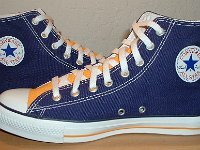 6 Purple and Gold 2-Tone High Top Chucks New purple and gold 2-tone high tops, front view. 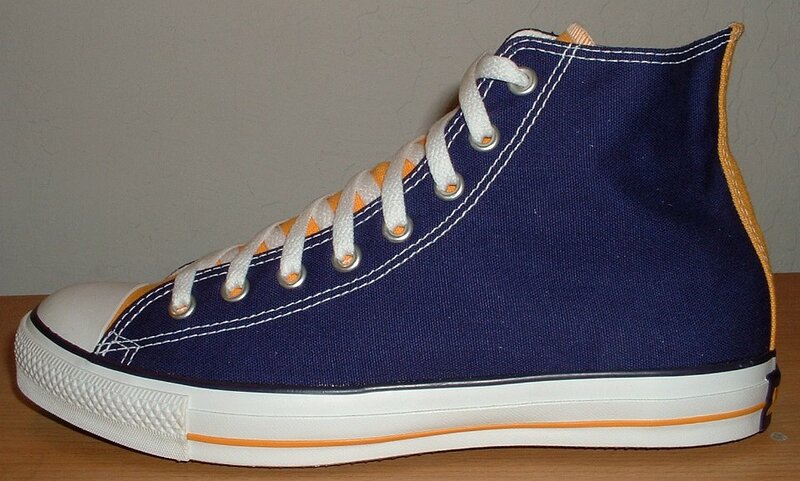 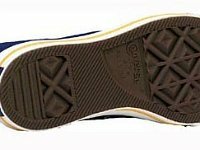 7 Purple and Gold 2-Tone High Top Chucks Purple and gold 2 tone, outsole view. 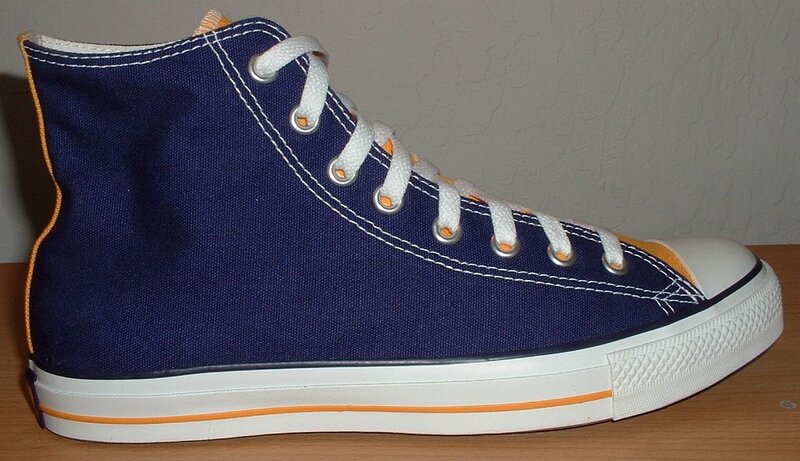 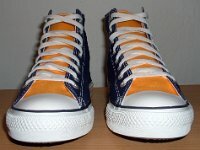 8 Purple and Gold 2-Tone High Top Chucks New purple and gold 2-tone high tops, top view. 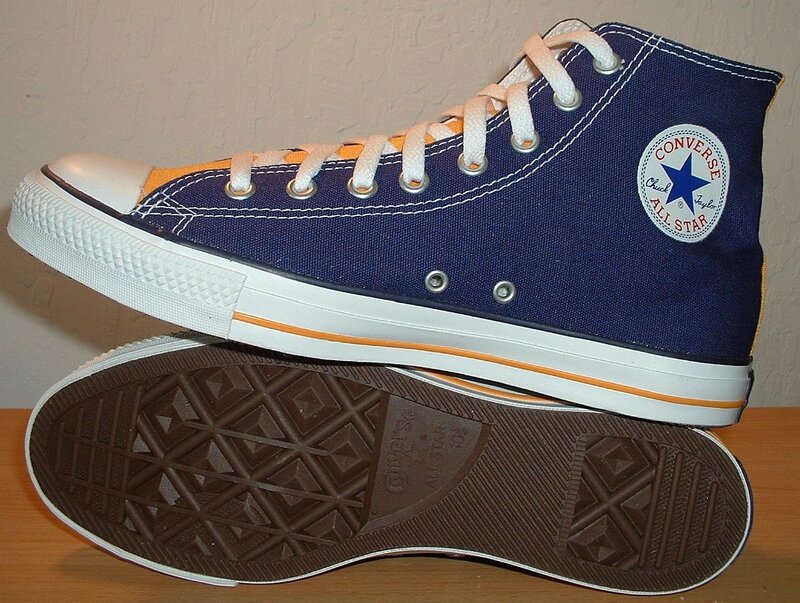 9 Purple and Gold 2-Tone High Top Chucks New purple and gold high tops, inside patch and sole views. 10 Purple and Gold 2-Tone High Top Chucks New purple and gold 2-tone high tops, inside patch views. 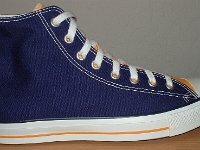 These high tops have purple canvas outsides with gold tongues and a gold ankle support. 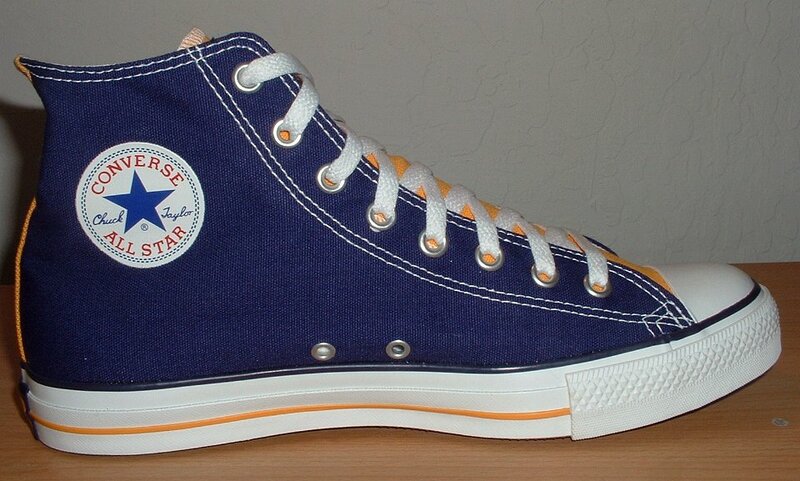 They have gold and black piping and a purple and gold heel patch. 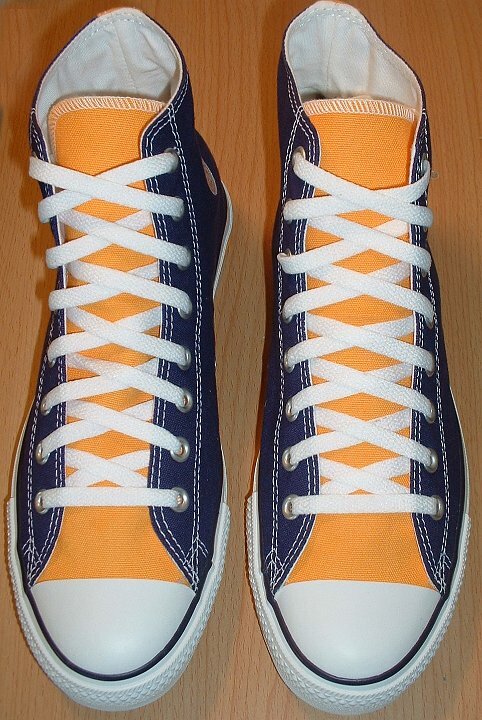 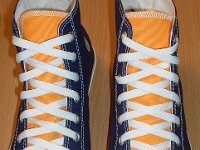 The shoes come with white laces.